Breathtaking Douglas Hughes Design - Handmade in Cornwall. 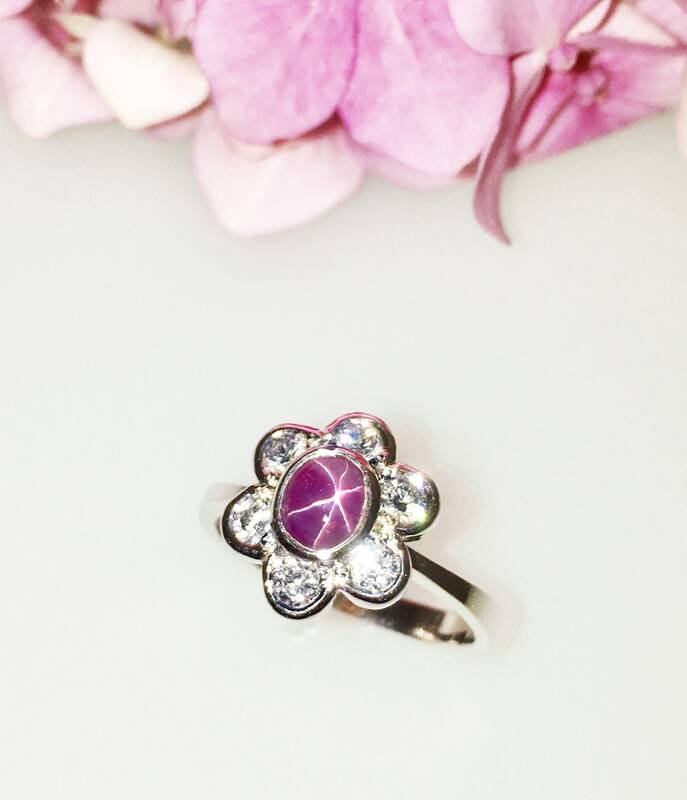 A Star Captured Within a Pink Star Sapphire. Platinum Set with .72ct. Round Brilliant Diamonds.